Medical Director - Atlanta Oncology Associates & American Professional Associates. 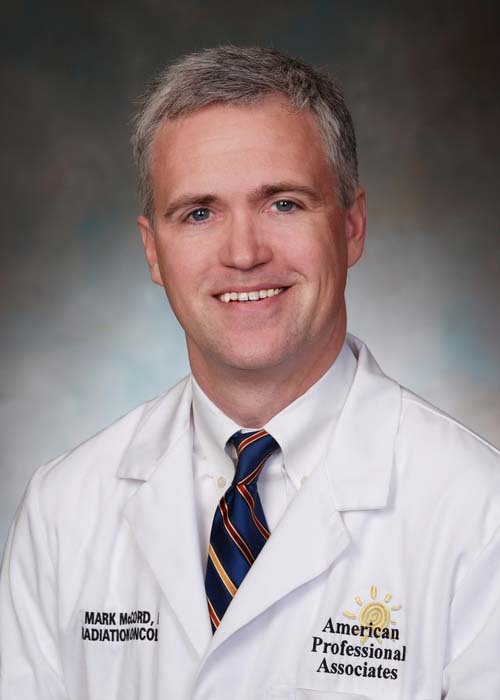 Dr. McCord is a member of the American Society for Therapeutic Radiology and Oncology, the American College of Radiology, the American Medical Association, the American Society of Clinical Oncology, and the Gilbert Fletcher Society. Dr. McCord has been named as one of Atlanta Magazine Top Doctors for 2016. Physician selection to this honor is peer review. He resides in Alpharetta with his wife, Rachel and sons, Jacob and Noah. He enjoys hiking and camping with his sons and retrievers, Sophie and Ariel and is a fan of Vanderbilt (his college). His wife is a children's librarian now active in support of the local library system, and they both are avid readers.